All tech and business eyes are on Spotify, as the music streaming giant goes public today without a traditional IPO process. Why it matters: Precedent. If Spotify's direct listing is successful, other private companies may pursue their own alternative paths to public equity, including ones like Spotify's that use investment banks more as navigators than as drivers. This could be particularly important for retail investors, who often are at price and information disadvantages to large institutions and high-net-worth bank clients. What is success? Strong pricing after discovery, relatively low volatility over the first couple of weeks. Something to watch on pricing is how close it hews to trades in the private secondary markets, where Spotify has been much more permissive than many of its fellow unicorns. Those secondary trades could cut down a bit on volatility, since there aren't as many early Spotify shareholders who view tomorrow as their first stab at liquidity. Per PitchBook: "Based on the share prices of Spotify’s private sales in 2018 and the probability-weighted expected return method, we’ve estimated Spotify’s market capitalization will fall between $17 billion and $23 billion." Wither Wall Street? No. Spotify is still paying €40 million to banks like Goldman Sachs, Morgan Stanley and Allen & Co. Per Bloomberg's Shira Ovide: "If $1 billion of shares begin to trade, on a percentage basis Spotify's costs will amount to 4-5% of total stock sold. Compare that with underwriting fees in high-profile IPOs, which tend to be 4% or less of the money raised in the transaction." Banks often view IPOs as just the first transaction in a more lucrative relationship that could include both M&A and secondary public offerings. No IPO here — thus no allocations for their wealthiest clients — but the second part still applies. A longtime friend of Spotify's Daniel Ek tells Axios: "They first told the banks they were thinking about a direct listing, and the banks told them all the reasons why it wouldn't work. Then they told the banks they were doing a direct listing, and the banks asked how they could help." "Normally, companies ring bells. Normally, companies spend their day doing interviews on the trading floor touting why their stock is a good investment. Normally, companies don’t pursue a direct listing. While I appreciate that this path makes sense for most, Spotify has never been a normal kind of company." Why Spotify isn't normal: A major argument against Spotify opening the non-IPO floodgates is that it's pretty unusual. Few other private companies can count on the same sort of brand and product recognition. Most companies IPO, in part, for the proceeds. 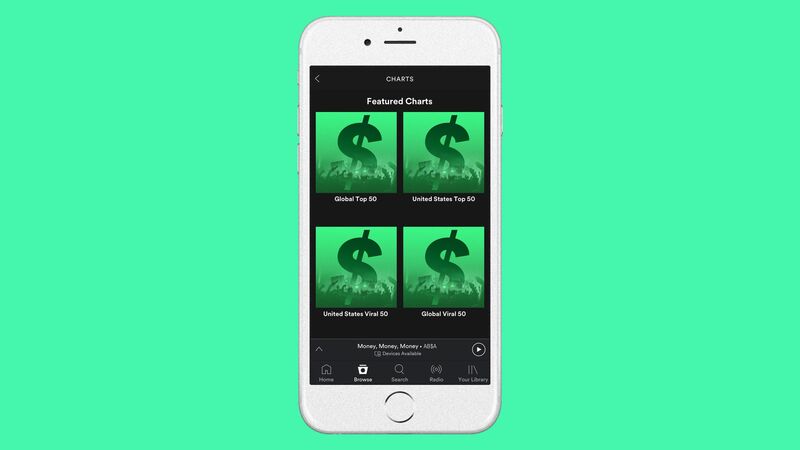 Spotify has plenty of cash on hand, even though it remains unprofitable. Spotify's permissive attitude toward private market trades was encouraged, in part, by financial disclosure rules in its home country of Sweden. U.S. startups, on the other hand, hold their financials more closely, thus making it more difficult for outsiders to invest. Spotify is hoping to be valued as the Netflix of music (or audio broadly) thanks to its ability to serve up custom recommendations to listeners. Not surprisingly, its finance chief previously spent nearly 12 years in the same role at the movie streaming giant (before a brief stop at ill-fated payments startup Clinkle). Spotify touts the huge amount of data it collects as the key to this ability. Data is also how it believes it can help unsigned or independent artists distribute their music and reach the right fans, potentially sidelining some of what music labels have been providing so far. But, but, but: Spotify head of creator services Troy Carter has said that the company has no interest in becoming a full-fledged label and owning copyrights, which some argue undermines its attempt to compare itself to Netflix, which does develop some of its own exclusive content. Unlike Netflix, Spotify’s licensing model accounts for the number of times a song is streamed. Music fans also tend to expect to be able to listen to an artist's entire catalog (in part why exclusives have been problematic) and of as many artists as possible, unlike movie and TV show fans which often sign up for multiple services and expect a rotating catalog of content.